Note from KKB...This is a long-awaited product. I have wanted it for myself and have had many requests for this product. 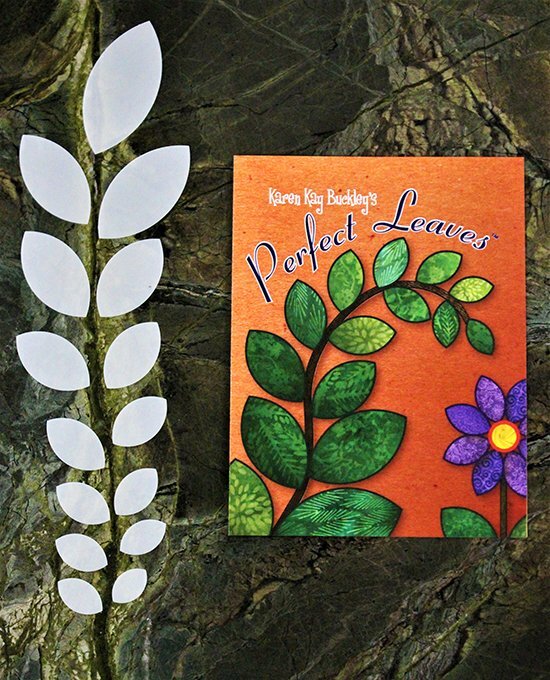 Finally, they are here...the Perfect Leaves™. Inside each package there are 15 different sizes of leaves (the smallest being 3/5 by 2/5 of an inch and the largest 2 1/5 by 1 1/5 inches). They are made from the same heat resistant plastic as our Perfect Circles®. The paper insert opens to provide detailed written and visual instructions.